Let Pink Posey Florist make all your days special and special days, EXTRA special! Located in Annandale, Virginia, we have proudly served the Northern Virginia metropolitan area for over 25 years. Our products and creativity are second to none. In a recent survey, Washington Consumer's Checkbook has us rated exceptionally high as one of the premier florists in the Northern Virginia-Washington DC area. We hope you enjoy your online shopping experience with secure 24-hour ordering right at your fingertips. For more personal attention, you may call to place orders directly at 703-941-PINK (7465). Our goal is to personalize our arrangements to your specifications in order to create and please the recipient. All schools, organizations, military, government, civilian and corporate accounts are welcome. 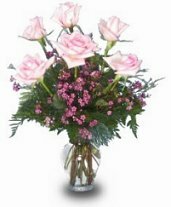 For your convenience, we offer daily floral deliveries to local funeral homes, hospitals and all businesses. Pink Posey Florist is open early to serve all your floral and gift giving needs. Stop by on your way in to work to pick up or order something for that same day delivery service. Our normal hours: Monday through Friday 7:30 am to 3:00 pm and Saturday 7:30 am to noon. Planning a wedding, party or corporate event? Large or small event, let our design professionals add the beauty of flowers at all festive occasions and locations. Call for a consultation so we can make the event more memorable. As one client relates to friends, we are the "best kept little secret in Northern Virginia". When you need funeral flowers… Formerly a Licensed Funeral Director, our owner knows the impact flowers have at a funeral. We know the regulations for local churches and cemeteries (including Arlington National Cemetery). 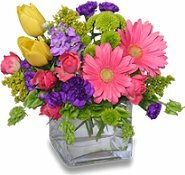 Our knowledgeable staff will design a fresh floral arrangement that conveys your sympathy and serves as a memorable tribute to the deceased and family.